Often what is separating us from joy, love, achievement, satisfaction, success, feeling of worthiness, confidence and accomplishment is lack of courage. Train your courage muscle every day and at every opportunity. Jump into 2017 with courage, open your heart, and be-think-feel-act as you like and wish. Live and lead with courage! Wishing you all courage and joy for the new year! We are so grateful for the many special moments this year, thank you all who made it possible and brought happiness to our journey. Make every day your opportunity for a happy 2017! One second every day from our 2016 leadership programme - this year exclusively in Upper Mustang, Nepal! In late August/ September, we will again visit 'our' 260 children, from a remote part of Nepal. We want to keep our promise and get them new shoes and warm uniforms so they can go to school more comfortably. They still need our help after last year's earthquake when they and their families had their homes/ schools damaged and lost vital materials. And you can help us help them! For just 20 USD you can make a big difference for one child. Join us in helping! PF 2016 from The Courage Journey - may you find the courage to go beyond the edge and rise to new heights this year! This Christmas we are incredibly grateful for having a warm, loving home filled with our family all on one place. What are you grateful for this Christmas? Answer this question daily and research shows you will be happier! In positive psychology research gratitude is strongly and consistently associated with greater happiness and improved health. Discussion on happiness and stillness between two great thinkers - Matthieu ricard and pico iyer. "it so often happens that somebody says “change your life” and you repaint your car rather than re-wire the engine." 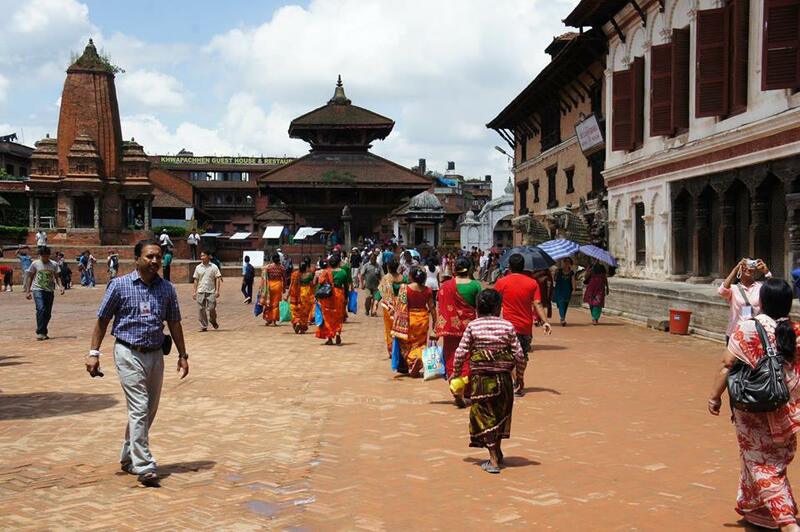 We got many concerned questions about what it is like in Nepal after the April earthquake - Is it safe to visit? Are there places to stay? Can you travel around? What do Kathmandu and other places look like? What help is needed? There is no reason to be worried about visiting the beautiful and welcoming country of Never Ending Peace And Love! As visitors we had all the usual comforts and wonderful care of our Nepali team. Many tourist parts of the country have not really been affected in the first place such as the Annapurna region. Major roads are not damaged and operational, most hotels in Kathmandu are safe and operational as are hotels in tourist hotspots like Pokhara. In fact the most noticeable difference was the absence of tourists. Now seems the perfect time to go if you like it more quiet. Given the pictures and videos, focused on crumbling historical sites, we have seen in the news we were worried about how we will find Kathmandu. Many people did lose their homes, including some of our friends, and a significant part of Nepal’s cultural heritage has been severely damaged. 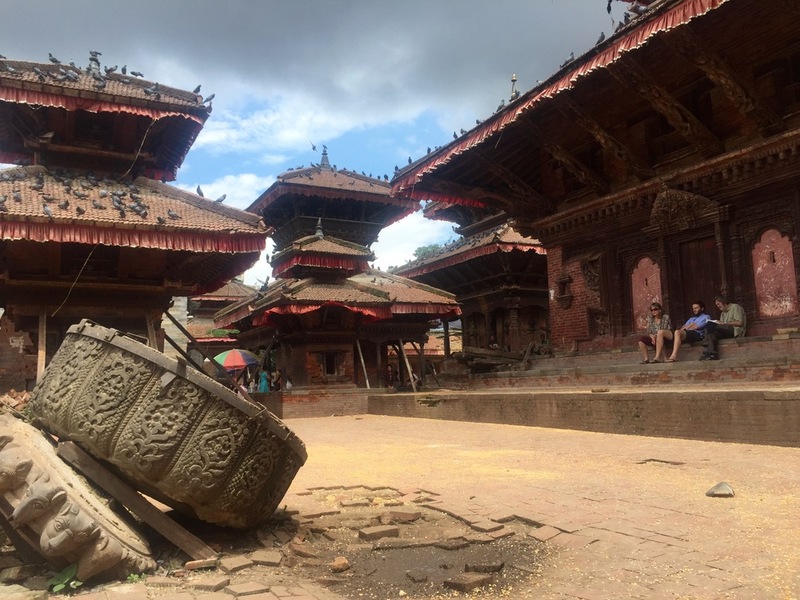 In the most sad state is Kathmandu’s Durbar Square - where previously we admired stunning historical buildings in a vibrant square full of life, we found levelled ruins and a gloomy atmosphere. Whilst it will take time and effort to rebuild, fortunately we found the city in a much better shape than we expected based on the news reports. Visitors truly are not affected. For example, the residential buildings around Durbar Sq are standing proud and we never expected to have lunch on a terrace overlooking it! The worst hit and in most need of help are rural areas in earthquake-affected districts. They are already remote and poor and, after the earthquake, in the worst hit parts most houses including schools have been levelled or damaged - the 3 schools we are supporting in Dhading district have all had their buildings partially or completely damaged. This has been shown very little and help is slower to reach here. Just because the devastation in Nepal is no longer on the front pages of our news, does not mean that local people don’t need our help anymore. We mean to keep helping. We have been impressed and inspired by the courage of local people, with how they are coming together to gradually rebuild their country and livelihoods. Be it the families who have built new temporary homes for themselves, or teachers and students who continue in education despite having no classrooms or little materials. As Courage Journey we empower people to live and lead with courage and as such we are also committed to continue helping Nepal grow. Do keep in touch if you want to continue directly supporting specific families and children with us. Details of our planned support for next year will come soon. Courage Journey Himalayas 2015 - enjoy a taste of our intense leadership programme in a 20 seconds overview! One second every day from our 2015 intense leadership programme in the heart of the Nepalese Himalayas! Emotional, deeply touching, and very special start to Courage Journey Himalayas 2015 - we visited 3 schools in a remote, earthquake-affected area of Dhading district in Nepal to donate school supplies (schools bags and stationary) to students. At the end of the day the children are happy and smiling and so are we (as well as sweaty, dirty, and covered in red kumkum). Thank you to everyone who helped us make this possible. More updates on the visit coming soon. To discover you need to explore first ... let's go exploring! Listen to your dreams and let go of your comfort zone! Nepal still needs your help! We have created a special account (in USD, EUR, CZK) to collect finances to support children like Pradina, Prashnta and Prabin. We will use all resources transparently and keep you updated (even online once in Nepal or through our Nepali team) . Please help us to build new homes for Nepali children ! The Courage Journey team members in Nepal and their children and families lost their homes after the devastating earthquakes in April and May. One of them are children of our leading guide and Sherpa Prem. His daughter Pradina (12) and twin sons Prashnta and Prabin (7) lost home already twice. 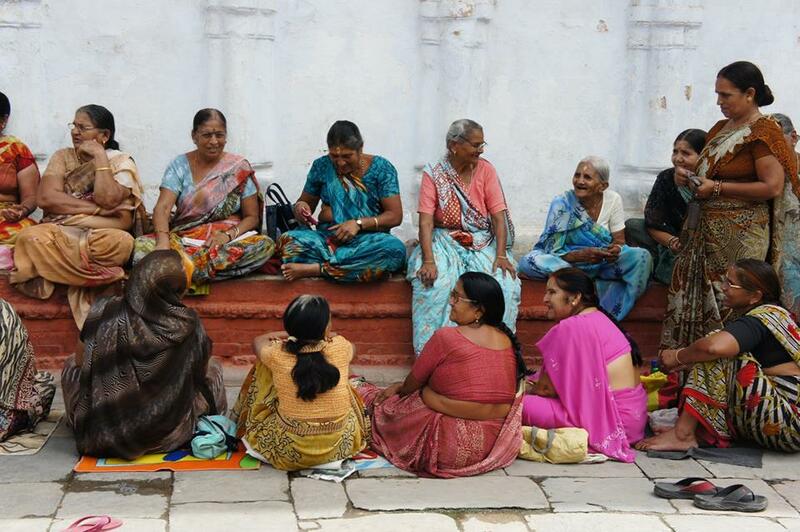 After the earthquake on 25.4. they remained in the street . We have helped them to get new room. Unfortunately the second big quake on May 12th left them in the street again. 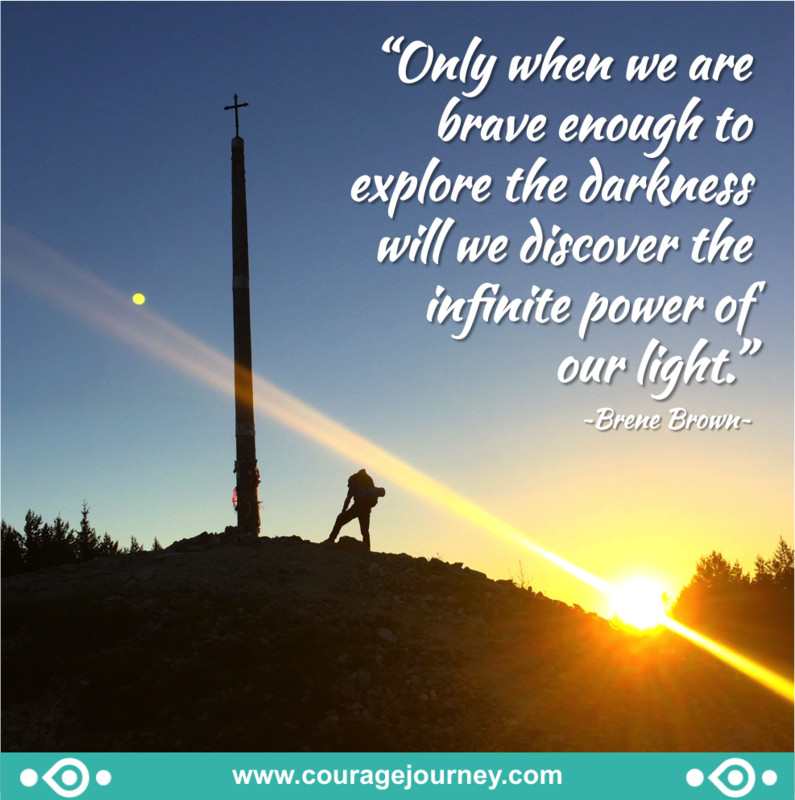 Courage Journey team will travel to Nepal mid-August. You can still join us on Courage Journey Himalayas 2015 – and help collect money and give a hand at re-building homes for children like Prashnta, Prabin and Pradina. We will document and keep you all informed on how your help is being used in Kathmandu and villages in Kathmandu valley and countryside. Join us and support our initiative and project Home for Pradina, Prashnta and Prabin! We are deeply touched and saddened by the devastating earthquake in Nepal and by the terrible losses for the people, cultural heritage and infrastructure of Nepal. Our hearts are with you all in Nepal. Right now the best way to help is to support emergency supplies and immediate rescue and aid for the victims by qualified relief professionals and locals. Our immediate support is to donate money to effective and efficient organisations, most often it is easier and cheaper for organisations to procure what is needed and distribute based on need. As Mathieu Riccard is our dear teacher one of the organisations working locally in Nepal that we especially support is www.karuna-shechen.org - 100% of donations received by end of May go to help for Nepal. But help will continue to be needed after immediate relief efforts to rebuild sustainably. We will come and help. In Nepal this August - September with Courage Journey and looking for ways to continue helping more specifically. Do get in touch if you want to join us or support our efforts. What do you want to ask for in your life? What a beauty! We can't wait to be back this August with Courage Journey Himalayas. Courtesy of aerial cinema experts at Teton Gravity Research.